By this time of year the conscientious homeowner has restored their fine old windows, installed weatherstripping and had new storm windows installed. A week later condensation and frost is building up and they cannot see out the windows. That’s right, condensation often develops when you change the way air and moisture move through a wall/window system. Condensation is a particular problem when the performance of the windows is changed without consideration of moisture and air movement throughout the entire building. Condensation usually occurs when the interior sash is too loose allowing warm moist air to pass out into the window space where it is trapped by an exterior storm that is too tight. It is standard practice in the construction industry to seal exterior storms as tightly as possible to building. When condensation is extreme moisture can accumulate and seep into windows sill and sash joints causing decay over the long-term. Modern storms are designed with weep holes to let out liquid water, but enough moisture can remain to condense on the glass. One potential solution is to ventilate the space between the primary sash and the storm by install the storm more loosely. Jim Ialeggio has made custom windows along traditional lines for decades in Shirley , Massachusetts . Jim says, “when I install any storm I make it very clear…that when an exterior storm is used in an old house, the space between primary sash and storm MUST have more air from the outside of the house than air from the inside of the house.” Jim supports his practical experience by learning from the building scientists. One study demonstrates, counter intuitively, that the ventilating an exterior storm to the outside did not measurably effect the insulating value. Most of the benefit of storms comes from the air space and blocking the major blast of cold winds, and not from preventing air infiltration. I often leave a 1/8” to 1″ gap at the bottom of the exterior storm window, which allows the occasional puff of dry outside air to breeze up into the window space, absorb moisture and carry it back outside. Some modern storm windows are made with sliding strip at the bottom that can be adjusted up and down to make the gap just wide enough to dispel the moisture without letting in too much cold air. Traditional wooden storm windows were sometimes made with screen ventilation holes in the bottom rail, or could be propped open a bit at the bottom. David Bosken, of New England Storms, in Hope , Maine , sees this same condensation solution. He has developed a new storm window that seals tightly at the top to keep rain water out, but is spaced slightly away from the window trim at the sides and up off the sill to allow for ventilation that limits condensation. Tightening up the primary wooden sash with weatherstripping can help prevent condensation too, but this must be done with some caution. These old wooden sashes need a little air filtering past their edges to keep the wood dry, especially at the lower joints. I have seen several cases where the weatherstripping was too tight resulting moisture buildup and decayed wooden joints. The tightest possible weatherstripping around all the sashes is not always the best thing to do. 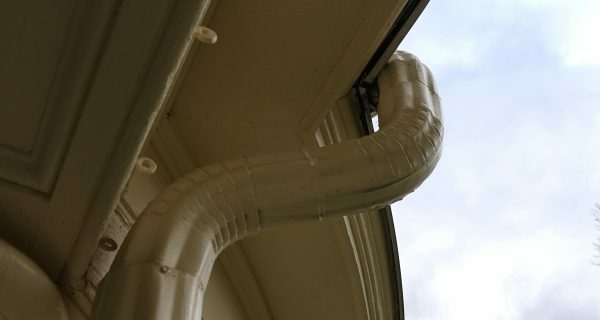 These days I am sometimes recommending less or no weatherstripping, although it is contrary to everything we have been told by the building industry since the energy crunches of the 1970s. Adding a tight fitting interior storm window or air panel can sometimes control condensation. Just be sure to remove them all at the end of the winter so the wooden parts of the window can dry out during the spring, summer and fall. Condensation can be effective controlled (but sometimes not eliminated) with individual window treatment and “commissioning.” Consider the entire building when planning window treatments, and consider what each individual window needs, rather that automatically doing the same treatment to all windows. Before any window work, window specialists and contractors need to advise the building owner that the window work will change the way air and moisture move through the building and the wall/window systems. What changes will occur varies greatly from one building to another, and are not usually well understood beforehand without costly moisture assessments. This may require a period of two or three years of “commissioning” when the condensation effect can be observed and minor or major adjustments may be needed in how they use and operate the entire building and in the details of the window work. In the end, I think we can relax a little when it comes to condensation. You don’t need new plastic replacement windows, you just need to learn how your windows work and how to operate them effectively. If you get a little condensation, simple open up your storm window a crack to air out the space until it clears. If you get enough to dribble down the glass or build up thick ice make sure it can drain out and call a knowledgeable window specialist to solve the problem. 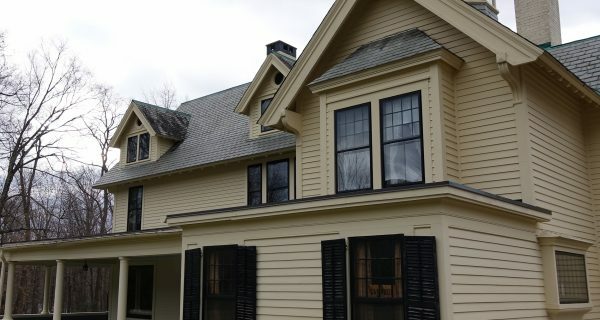 "We're in the process of restoring and renovating a 100+ year old house into a B&B. We need to sound-proof the rooms..."